How can a “website” become an “experience”? Celebrity chef Mario Batali’s is prolific. With numerous award-winning restaurants, best-selling cookbooks, new recipes, videos and travels, he has a lot to share with his audience. We were thrilled to dig into this project and tackle it from a completely holistic and immersive approach All of this content can be overwhelming for a user -how do you navigate it? Some users may only be familiar with Mario from one spoke of his brand – for example, restaurants. How do provide them with the information they are seeking on this spoke – and introduce new aspects of Mario – like his recipes and philanthropy – at the same time? And most importantly, how do you create a destination where users will spend time exploring and continue to return to for all things Mario? Batali’s original digital presence was only able to present a limited amount of his brand. He had a large amount of varied content – editorial, video, recipes, products – and needed a complete organizational and design overhaul. Our challenge was to create engaging ways for users to access and explore this content. We wanted visitors to get a real sense of Mario, his personality and the breadth of his knowledge and expertise. For this project, we created a complete and fully immersive digital ecosystem. We developed a platform with intelligent and intuitive information architecture, responsive and modern design, and full editing capabilities so his team could update as needed, keeping the content fresh. We brought an innovative spin to all aspects of design and development for the site. 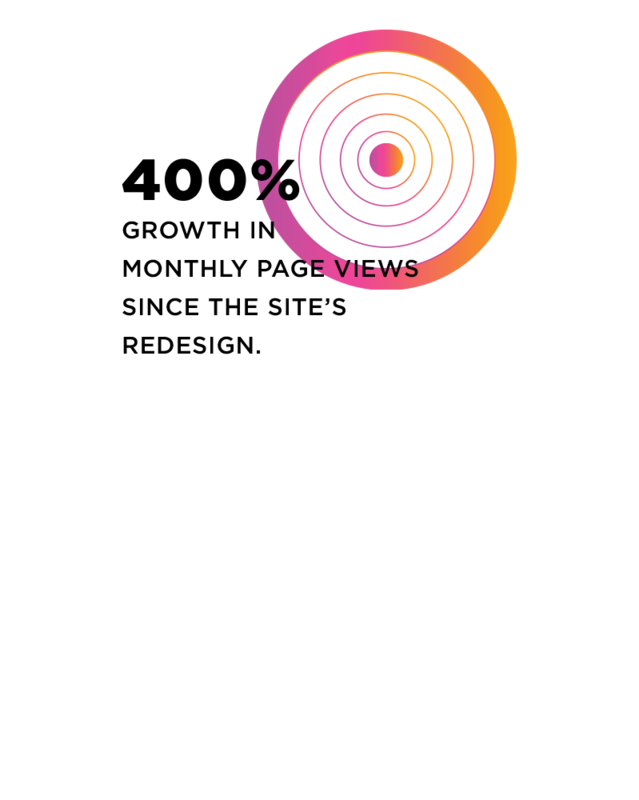 For video, we created a platform that could easily integrate with third-party video players, allowing for targeted advertising. We geotagged all content on the site – from recipes to blog entries to restaurants to books – and created an interactive map for users to explore and for the Batali team to generate curated travel guides. 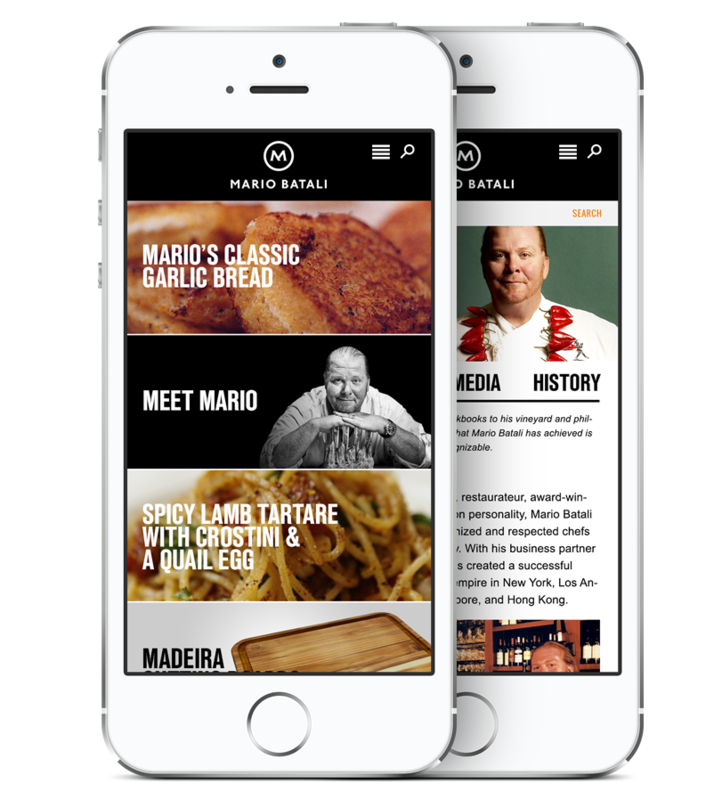 In addition to working with the team on content and brand strategy, we also developed and deployed email marketing campaigns and social media integration, which included a custom Twitter widget allowing users to tweet Mario Batali directly from the site.